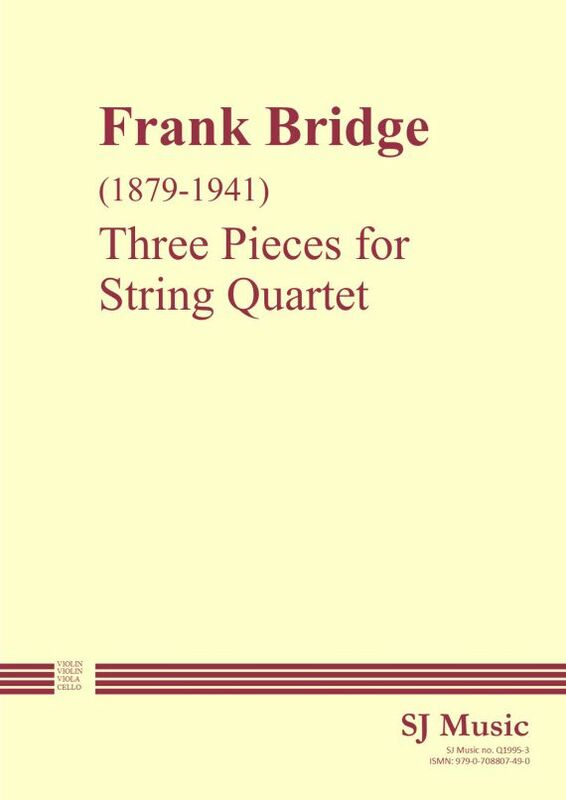 Bridge studied at the Royal College of Music in London from 1899 to 1903 under Stanford (a string quartet and two clarinet quintets by Stanford are published by SJ Music). He played the viola in a number of string quartets, most notably the English String Quartet. These three light-hearted pieces were written for this quartet, to be performed at the Annual General Meeting of the Royal College of Music Union in London in 1904. Bridge also conducted, sometimes deputising for Henry Wood, but later devoted himself to composition. He is also remembered for teaching Benjamin Britten, who later championed his music and paid homage to him in Variations on a Theme of Frank Bridge. This edition is published by kind permission of the Frank Bridge Trust. It was transcribed from the original manuscript which is in the Trust’s collection of Bridge’s works in the Royal College of Music. Phrasing added for consistency across parts is shown within brackets.